I’m still struggling to read right now. I’ve been in a kind of “blah” place when it comes to activities in general, and I’m mentally exhausted. My overall disposition is better than it has been in a while, but I’m still in a low place. So not much has changed in my updates this week. I’m sitting at 6 books for the entire year so far…which is insanely awful for me, and add in the fact that most of those were very short or middle grade and it goes from awful to outright dreadful. But I’m not going to force it. I’ll read the books I’ve agreed to read, and just wait for my mood to lift up again. 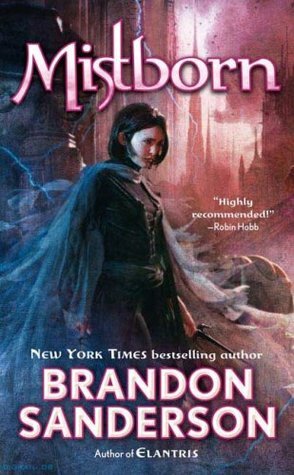 The Final Empire by Brandon Sanderson – Goodreads – I’m a little bit farther in on this one and so far I am enjoying it, but not loving it yet. I can tell this is an earlier Sanderson book, which is still great, but I’m eager to get to the meat of the story. The Traitor Baru Cormorant by Seth Dickinson – Goodreads – I started this one in earnest on audio because it’s easier for me to get to it than my huge paperback, and so far I am enjoying it. I’m still in the section of Baru’s childhood, but the world is fairly interesting thus far. Long Way Down by Jason Reynolds – Goodreads – This is the first book I’ve checked out to myself at the library…I had to stop myself from going absolutely nuts and checking out a ton. Power trip aside, this is going to be my first read of #Blackathon and I’m really excited. It’s out of my normal wheel but it should be a quick read. The library job is going well. There is a ton to learn though and most of it is small and easily forgettable, so I’m kind of overwhelmed. I’m still blown away with how busy it is. The libraries I frequent get a fraction of the foot traffic on a normal day, so the general help issues that pop up are spread out. I have a lot to learn, now if I could just get my mind to be less sluggish. Kingdom Hearts 3/Achievement Hunting – I’m still playing KH3, though less so this week. My achievement hunting has dropped significantly as I just don’t have the energy to even play more than one game. I hope your next black history month reads are less disappointing! I’m definitely putting my best foot forward at work. I’m really good at wearing any mask needed during the day, it just takes a lot of energy to maintain it. I’ll be okay. I’m just ready for it to become ‘normal’ so my anxiety and depression level out.